[PDF] An Integrated Approach to New Food Product Development | Free eBooks Download - EBOOKEE! Description: New products often fail not because they are bad products, but because they don't meet consumer expectations or are poorly marketed. In other cases, the marketing is spot on, but the product itself does not perform. These failures drive home the need to understand the market and the consumer in order to deliver a product which fulfills the two equally important goals of consumer trial and repeat purchase. The linkage of these issues is often compromised in the innovate or die world of corporate new products. 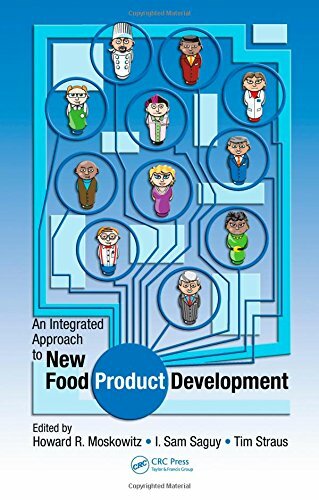 An Integrated Approach to New Food Product Development explores this inter-relationship and the inter-relationship of the key disciplines essential for marketplace success. Proven Approaches from Industry Experts The book introduces The Success Equation based on the interrelationship of the key tasks critical to defining and executing for new product success. The sections that follow highlight the importance of every task and the impact of each disciplines contribution throughout the process in optimizing the success of the product. The book explores integration of all parts, from defining consumer needs and food concept to understanding the importance of positioning, packaging and trade, to the technology and manufacturing required to accurately meet these needs. The Success Equation encompasses the elements that not only dramatically increase a products success, but also make that success increasingly sustainable. Combines Solid Theory with Actual Marketing Practice The text blends academic, ivory tower research with the experiences of seasoned, real market practitioners, which when combined, provide the tools for successful new product innovation. The concise, hands-on information includes advanced and emerging innovations in management, marketing, technology, strategy, consumer research and sales. The integrated coverage provides a complete picture of the expertise and knowledge needed to leverage new product development into commercial success. No comments for "[PDF] An Integrated Approach to New Food Product Development".